Coffin manufacturer eco Rest is set to unveil what it claims is a world first – a range of quality, eco-friendly coffins made from an agricultural by-product called by-Board. 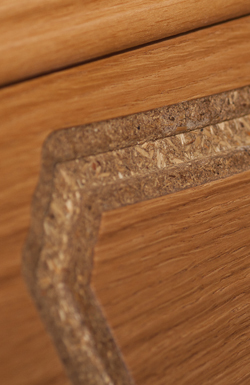 The Derbyshire-based company believes the product – made from straw – is strong enough and workable enough to replace the MDF and chipboard that are the timber-based products of choice for the majority of coffin manufacturers. Made from the stubble left after crops are harvested, by–Board doesn’t use trees, and is bonded together with a non-toxic resin. It is being used exclusively in the construction of eco Rest’s traditional, sarcophagus-shaped eco-Origins range of coffins. Managing director Dale Bywater said the company was hoping to engage the attention of funeral directors, to spread the word about by-Board as an eco-friendly coffin option: “We see by-Board as a genuine alternative to timber-based products and we are actively seeking partnerships with coffin makers and funeral directors to help bring these wonderful products to the attention of the general public,” he explained. Eco Rest offers a range of eco-friendly coffins, caskets and ashes caskets, focusing on products manufactured using by-Board, for which the company own the worldwide distribution rights. The company came into being after Dale – who also runs a vehicle leasing business met up with his old schoolfriend Laurie Smith, who does design and marketing, shortly after the funeral of Laurie’s father in November last year. Laurie had struggled to find a coffin for his father with the eco-friendly credentials he wanted. The pair were introduced to someone who could source sheets of the product that subsequently became by-Board and realised there might be a gap in the funeral market. Intense research and development followed, culminating in the creation of the eco Rest brand.